Do you properly clean and oil your guns? Are you well informed as to which types of lubrication will actually produce the results you want and which ones are a rip-off? With our review of the TOP gun oils, you will be able to select the right lubricant for your gun and maintain it in tip-top shape when the moment you need it most arrives. Given our review of the 10 gun oils, we recommend Break-Free CLP. This lubricant meets the standards of what constitutes the best quality and value for your dollar. Though this cleaner best meets the characteristics of an overall lubrication, you might have different needs or different preferences which our review of the top 10 can help identify. Let’s take a look at the characteristics of the perfect firearm lube. Choosing the perfect firearm lube require some knowledge of what you are trying to accomplish. Because guns tend to be heavily used for brief periods of time and then sit inactive for long periods of time, they tend to require boundary lubrication rather than hydrodynamic lubrication. Before we discuss what your gun really needs, let’s define the difference between these two different forms of lubrication. • Hydrodynamic lubrication established a thick layer of film between moving parts. This film prevents moving components from rubbing together and creating too much friction and wear. • Boundary lubrication resists corrosion and oxidization, creating a boundary, if you will, between the metal surfaces of your weapon and active components, and the environmental factors that produce corrosion and oxidization. What are the characteristics of boundary lubrications? Knowing the right characteristics of boundary lubricants will determine what the best firearm lube ingredients should be. • EP additives or extreme pressure additives are used for heavy loads like gear boxes. • AW additives or active wear additives are used for lighter loads like bushings. • Corrosion resistance and resistance to oxidization are important to prevent rust and other corrosion. • Water resistance is important as well. • Mild acid and alkali exposure from perspiration is also necessary. • Low temperature performance is also ideal. Gun oils need to be able to migrate. What that means is that the ability of the lubricant to spread to surrounding and adjacent areas. In other words, you don’t want the lubricant to just sit where it was applied, you want a low enough viscosity to succumb to capillary action and find its way down into smaller spaces and lubricating everything it comes into contact with. • Chlorine compounds, often called chlorinated esters, are known for causing stress corrosion cracking (SCC). SCC creates microscopic pits and cracks, which under heat and pressure widen and create the potential for a very bad day when you fire your weapon. • Benzene compounds, which are found in motor oils, are not good to have near your skin. • Mineral oils have poor migration properties and depend on other lubes for migration. • Silicones and silicone sprays have good water protection properties, but will wear the working parts of your gun into shavings. • Graphite sprays and powders are a dry lubricant, but offer no benefit to a firearm lubrication. Essentially, there are no “new” or “miracle products.” All lubricants, bases and additives that work are already known to the lubrication industry. They might be mixed in new combinations, but they really aren’t revolutionary in any way. Watch out for “special additives” which might do more harm than good to your gun. In general, the best firearm lube will have the right additives and ingredients while avoiding those which do damage to your firearms. Where selection comes into the equation, it is usually value for the dollar that does the talking. Let’s review some of the 10 best. Break-Free CLP is a synthetic blend oil. It is highly prized for corrosion fighting, migration and its ability to withstand extreme temperature variations without a breakdown in viscosity. It also has anti-static properties that resist dust and sand cling. • Type and volume: liquid, 4 oz. Independent lab tests showed that Break-Free protected against 15% of sea salt corrosion, outperforming its competitors. Its blend of organic based synthetic blends with the right amount of petroleum distillates makes it a top performer among other firearms lubricant. Extremely high user satisfaction ratings as well as earning high marks in various reviews, this affordable cleaner is a great value. Sage and Braker is a lubricant, solvent and protectant all in one. It was developed in response to military veterans, deployed soldiers and police officers. It has antistatic properties which keep dust and sand from clinging to your weapon. • Type and volume: liquid spray, 4 oz. It is pretty impressive that soldiers and police officers were consulted. It cleans, protects against rust and corrosion and the anti-static properties are pretty impressive. The liquid spray nozzle is convenient. Users seem to be well satisfied with the product, but it is expensive. Cleaning will take about 50% less time with Extreme Force. This cleaner is extra long lasting and won’t harden or gum up during non-use. Compounds won’t break down in harsh conditions. • Type and volume: liquid, 0.5 oz., 1.69 oz., 3.38 oz. An acrylic based for a firearm may not be the best option. You will notice that even the product hype says that it stays where you put it, which would suggest that it might not have the best lubricant migration properties. Its cleaning solvents are powerful. This synthetic lubrication blend comes from a well-known manufacturer who has been producing quality firearm cleaner for a long time. It is specially formulated for newer model guns with modern alloys. It cleans and protects against corrosion and pitting. • Type and volume: liquid, 2.25 oz. One of the compounds to stay away from the cleaner was mineral oil because it doesn’t migrate well. The synthetic blended lubricant added to this is likely to have those migration properties however. It has an extremely higher user satisfaction rating and it is moderately priced. This is a multi-purpose aerosol lubricant which is very popular for a wide variety of applications, including firearms. Ballistol was developed for the German army for cleaning and firearms, gun stocks and leather gear. It is non-sticky and slightly alkaline. • Type and volume: Aerosol, 1.5 oz., 6 oz. Besides being an aerosol, this lubricant and cleaner is relatively environmental friendly. It tends to be a top performer among a wide variety of gun reviews and has decent user satisfaction ratings. Oleic acid is found in coconut and olive oil and its other additives are also harmless. It gets its migration properties from benzyl acetate, which is a type of benzene found in motor lubricants. You will have to pay a little bit more for this cleaner as well. M-Pro 7 is a highly touted organic and biodegradable which cleans and lubricates. It is recommended by military, police and firearms experts on a wide range and has a solid performance reputation. Organic and biodegradable properties seem to be in high demand as environmental concerns continue to grow. According to a wide variety of reviewers and users, this is a highly effective cleaner and maintains a stellar reputation. It is sold at a reasonable price. 7. Lucas 10006 - 2 oz. Jamming and overheating of large machine guns and high powered rifles was the reason behind the development of this particular blend of firearm lube. It resists moisture, stands up against high temperatures while being used and resists evaporation when your gun is not being used. • Package volume: liquid, 2 oz., 6 oz. This is another biodegradable lubricant which was blended to meet a very specific need for guns which overheat a great deal from rapid firing. Lucas is a widely trusted name in various types of lubrication and it appears that its reputation stands up where its firearm lubricant is concerned. That reputation will cost you a little bit more. One of the slipperiest materials known to man is the base ingredient for this DuPont Teflon gun lubricant. Known for its proprietary resin bonding and high tolerance against metal on metal wear, it creates a thin dirt repelling, chemical resistant coating. • Type and volume: powder, 4 oz. Teflon additives in motor lubricant are still being evaluated, though they do seem to be holding up to analysis. When it comes to guns, however, there is a major difference between working part lubrication and storage protection. Being a dry agent it just might be the thing for rust and corrosion protection, but I think the jury is still out on whether this is a suitable gun lubricant. This is another Hoppe’s cleaner with a compound called T3, which is a liquid form of molybdenum, added into it. Hoppe’s Elite originated as a lubricant for dental drills. It has a very high friction coefficient and long-lasting corrosion protection. Hoppe’s is a name with a reputation for quality in lubricants. Its friction coefficient is impressive and the fact that it was used as a lubricant for fine dental tools is also a plus, but we are not as concerned with hydrodynamic lubrication with guns as we are with boundary lubrication. It is a very thin which is likely to do well with migration, but one has to worry about its protective properties. Additionally, that T3 additive must be pretty expensive. Anti-fouling is the main characteristic of FIREClean. It is non-hazardless, non-toxic and keeps carbon from sticking to the surfaces of your weapon. It is a powerful cleaner with long-lasting protection against corrosion even under extreme environmental conditions. • Package volume: liquid, 2×2 oz. Reading the label, most people would be impressed. It seems to be the perfect firearm lubricant. There are some issues with it. It seems to be more of a cleaning solvent than a true lubrication. Cleaning is great, of course, but cleaning without protection is questionable. Besides wondering about its protective properties, this oil only has fair user satisfaction ratings and will cost you a lot to purchase it as well. The bottom line is that just about all of these lubrication work at cleaning, lubricating and protecting in one way or another. Using a firearm without using any lubricant is a very bad idea and any one of these is certainly better than nothing at all, but the quality and value edge has to go to Break-Free CLP. There is a reason why the U.S. armed forces use Break Free CLP. It protected well against 15% of sea salt corrosion in lab testing. It has a viable blend of organic based synthetic oils to make it biodegradable but effective at cleaning, lubricating and protecting. It rates high with nearly all reviewers and users and you can get your hands on it at a decent price. Given the information in the above review, you should be better informed concerning the quality and value built into the various brands of firearm lubricant. Regardless of whether you go with our clean, lubricate and protect your firearms for both performance and safety reasons. Lucas 10006 - 2 oz. 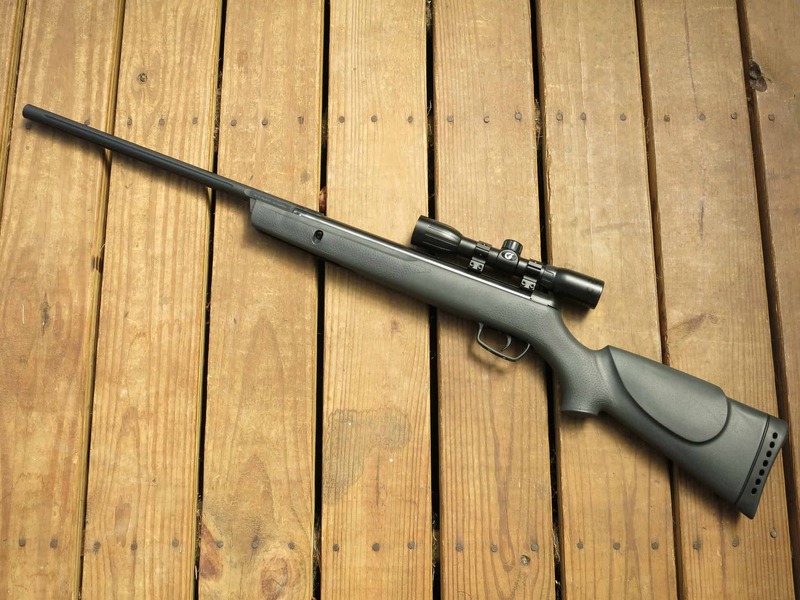 Next ArticleGamo Air Rifle Reviews – Worth the Money?